A volunteer walks by the Begonias to make the giant flower carpet, at the Grand Place in Brussels, Belgium, on Aug. 14. The biennial flower carpet is made with Begonias and takes place during 4 days. 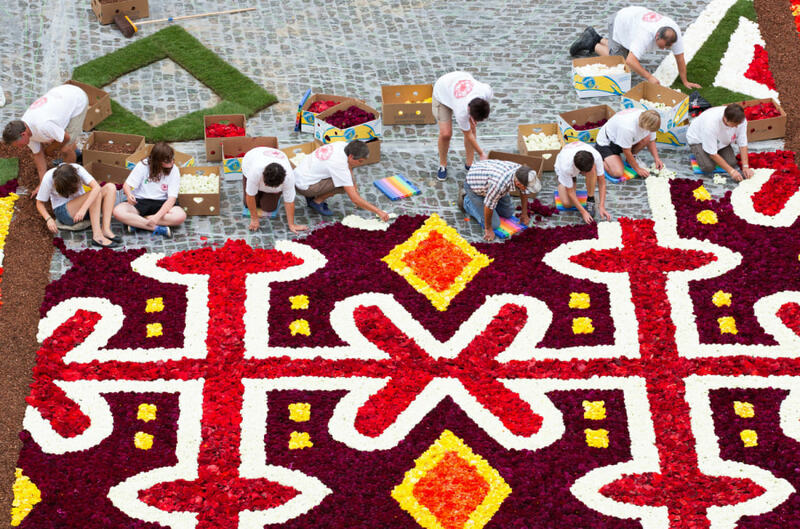 Volunteers lay down Begonias to make the giant flower carpet, at the Grand Place in Brussels, Belgium, on Aug. 14. The biennial flower carpet is made of thousands of Begonias and takes place during 4 days. 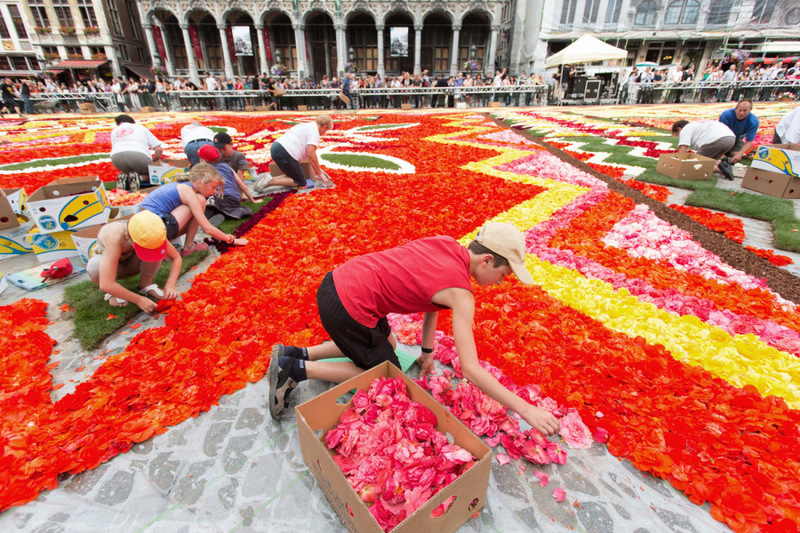 Volunteers lay down Begonias to make the giant flower carpet, at the Grand Place in Brussels, Belgium, on Aug. 14. 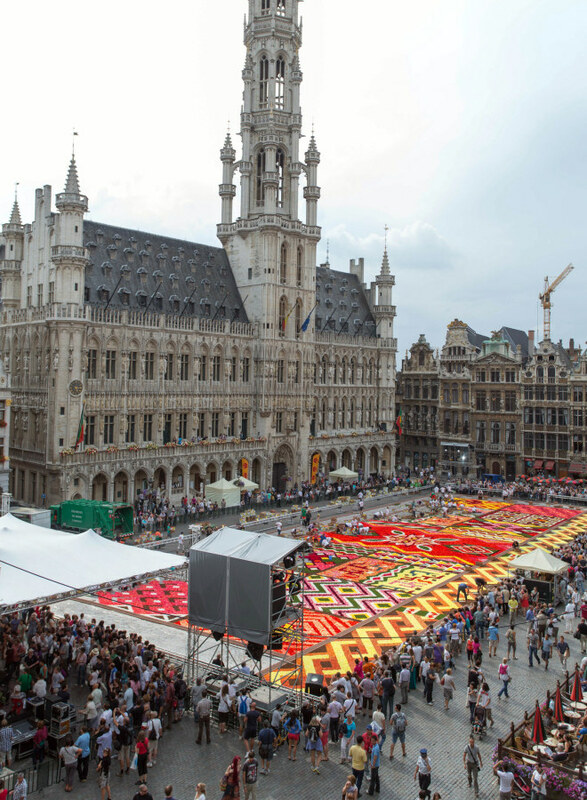 A general view of the giant flower carpet, at the Grand Place in Brussels, Belgium, on Aug. 14. 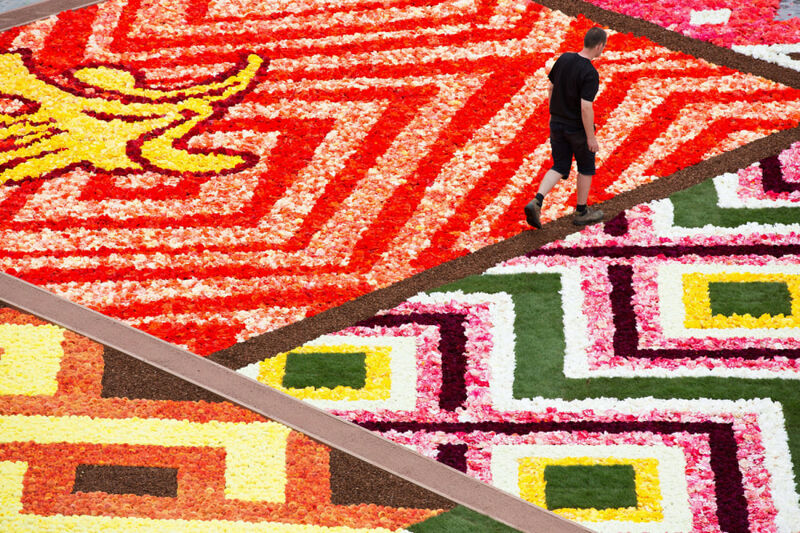 The biennial flower carpet is made of thousands of Begonias and takes place during 4 days.